The Three Muses asked for FRAMES and I decided to frame some street art just for fun, as despite their quality they are not made to be framed and almost always don't last very much. I photographed the graffiti in São Paulo; Doll body: Crowabout Studio. Fun and so creative, Christine. Love it. A really fun and happy collage. A novel and original approach to the challenge, Chris. It makes for a very colorful entry. Great creativity! This is so unique and lovely you have great street art. What a lovely idea! Maybe it will get to last longer then! I've definitely seen some street art I would like to see last! 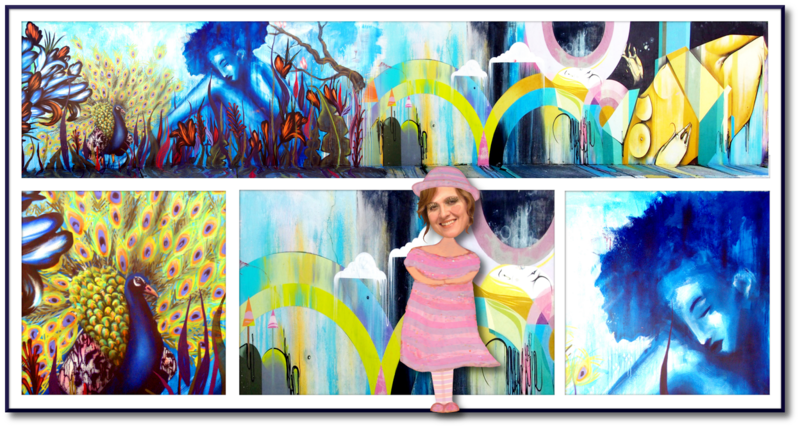 Christine what a great idea, love the way you have framed images of street art on.